Here are tips on cleaning tea stains from you tea cups. If you are a tea lover like me, you know that tea stains. An avid drinker of tea (and its cousin coffee) one knows that our cups and mugs can get kind of terrible looking once they are stained. It would be most embarrassing to invite a neighbor, friend or family member over for tea and served your guest a stained tea cup! Awful! Your guest will immediately think that you either haven’t washed your cup or that you are not clean yourself. We all know that, that is quite far from the truth. What makes a tea cup become stained to begin with? And what can one do about it? Tea stains anything that has a porous surface. This includes many hard surfaces (such as counter tops and wood) as well as fibrous surfaces such as carpets and clothing. Tea was once used as paint, ink, and a material dye for thousands of years! It is considered an ancient art anchored in the Orient. While they are making art by using tea to stain on purpose, no one wants to have a stubborn tea stain by accident. So why does tea stain? Tea stains because it contains tannin. Tannin occurs as a natural type of polyphenol in the structure of the tea leaf. 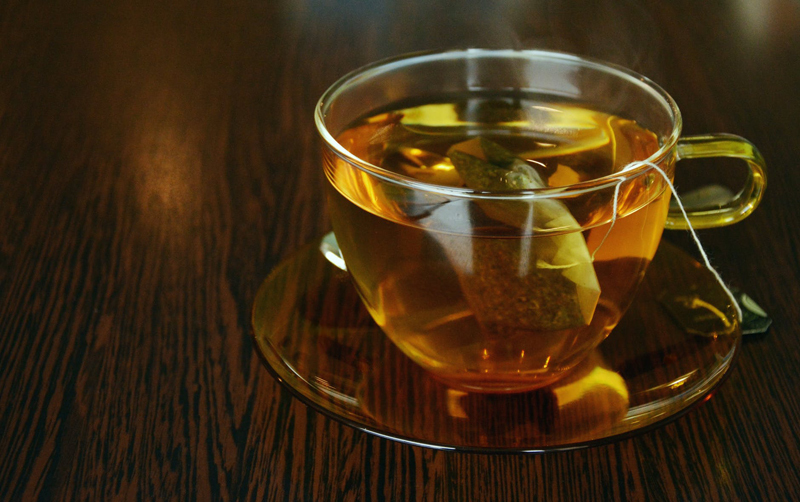 It is much to do with the chemistry of tea and hot/warm water actually enacts the tannin further! It will actually “set” the stain more. Tea is not exclusive in having the chemical make-up of tannin; other examples are red wine, mustard, coffee, grapes, and chocolate. Tannic acid is not the same thing and is NOT contained in tea. (Please click on my article What Exactly Are Tea Tannins? below for more concise information on tea tannin). So what can one do to rid the cups/mugs of these stains? While it will not hurt you to drink from a cup that is stained, it will continue to build up over time and may possibly ruin your cup forever. There are many eco-friendly, as well as drinker friendly ways one can clean your mug. Mix the same in a small bowl (forming a paste) and then apply to soft cloth and then scrub cup. Pour hot water into cup or tea pot squeeze lemon juice & add the peel (or add lemon juice) now add baking soda and let soak overnight. Always if left overnight it seems to work effectively. Another very similar recipe is that of mixing equal parts of cornstarch and vinegar and paste forms then scrub with soft cloth. Another recipe is simply put a dab of toothpaste on an old toothbrush and scrub your cups. Toothpaste works on your teeth for staining. It has very fine ground abrasives contained in its formula. I also found that denture cleaning tablets can be used to clean cups because of its effervescent properties the solution cleans for you. For “chemical” solutions: Using dishwasher detergent and scrub with a bit of water- rinse and put back into dishwasher for a final wash. While many use bleach, bleach in powder form, oxygenated laundry booster, bar keeps cleanser, and other types of scrubs- I personally do not use them myself-I would not use anything that contains that much chemical- I have heard that they may be effective in certain situations. And finally, some will use brillo, sos pads, and magic erasers these may “etch” your cups further and may even ruin some types of china. Please seek out manufacturers directions of care if possible. If not, use baking soda type options since they are eco-friendly and can be used in food containers and are considered gentle. Best of all, try to finish all of your tea, try not letting the tea sit in your cup, thus causing the staining to begin with. Your tea will contain less tannin and be smooth to drink as well. Enjoy your sparkling tea cups and mugs and you’ll be proud to serve tea from them! What Exactly Are Tea Tannins?